Written by industry-leading experts, this eBook is the most comprehensive resource on PHP 7. You will learn about making legacy code work with PHP 7, how to leverage the language's new features, and how to avoid common pitfalls when migrating to PHP 7. 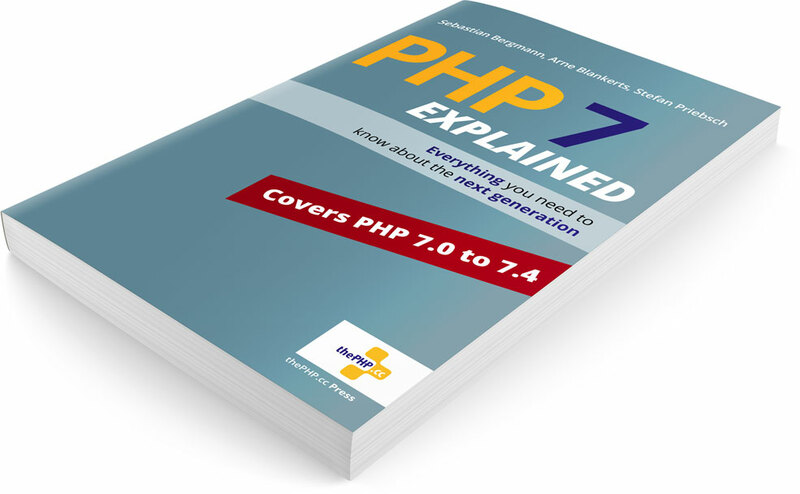 This eBook contains everything you need to know about PHP 7.0, PHP 7.1, and PHP 7.2. Your purchase includes access to free updates. For instance, it will be updated to cover all relevant changes of PHP 7.3.